Welcome, HA fans! Vivian here to share with you on the blog today! 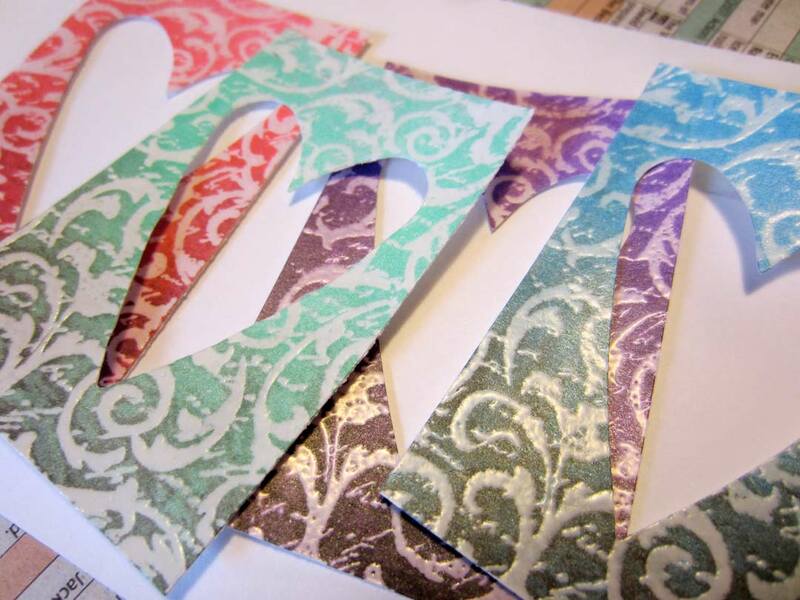 Have you guys noticed the ombre craze going on right now in the crafting world? I must confess, I'm in love - there's something about this simple application and all its interpretations that simultaneously soothes and revives. 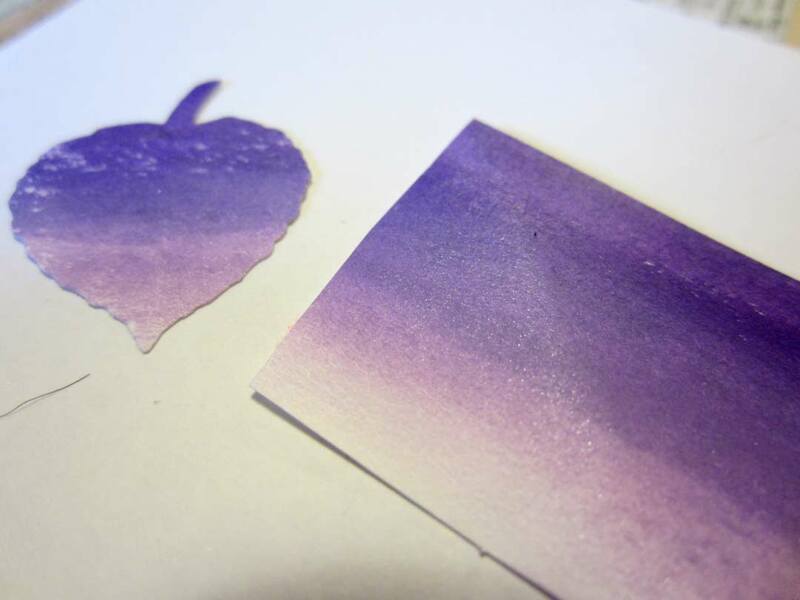 The good news is that you don't have to own multiple cardstock tints of one hue to create an ombre project. If you've got watercolors, watercolor pencils, pigment or chalk inks, or other blend-able media, you can create this effect on a moment's notice. For today's project, I got a bit messy with my Hampton Art/ Hot Fudge Studio PS 0622 Woodblock Stamp, some creamy Gelatos, and my fingers to create ombre effects in this joyful, funky, colorful card. 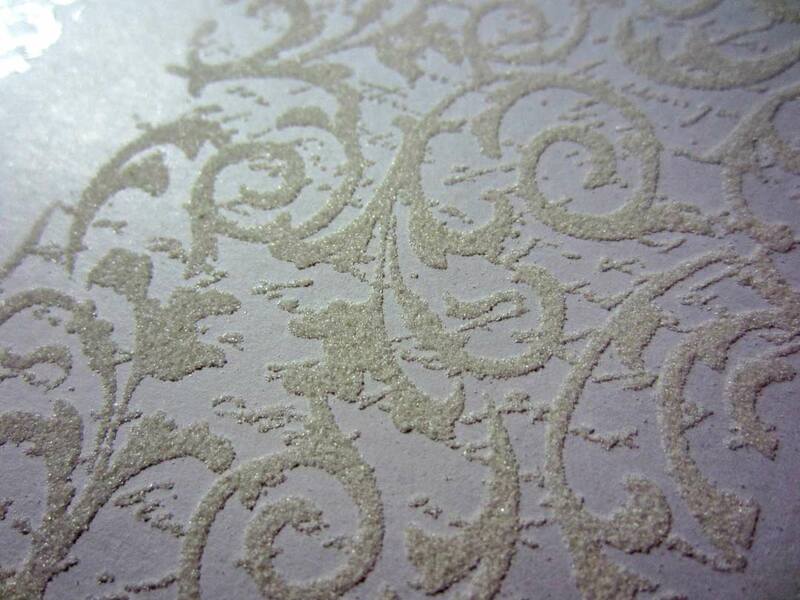 In order to create this effect, first draw an anti-static pillow over a sheet of white cardstock. Yes, folks, we're going to emboss! Stamp the background image several times with watermark ink. 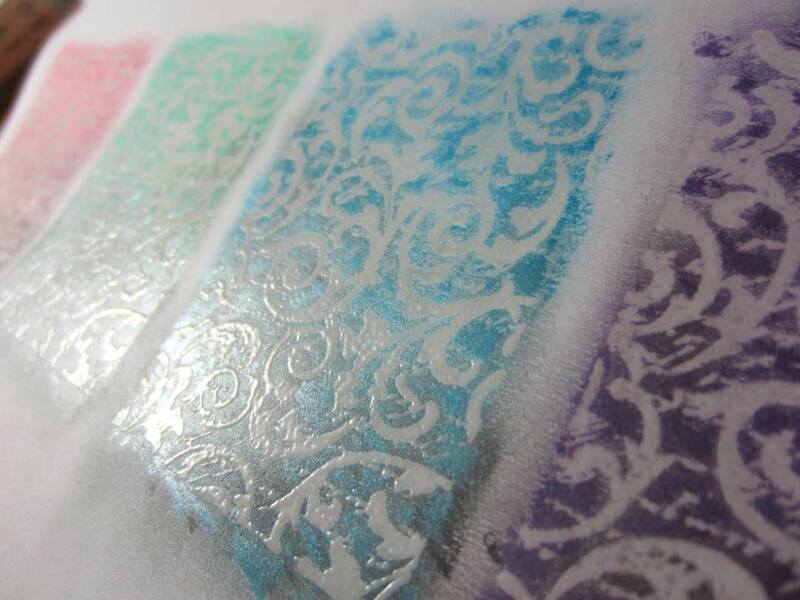 Sprinkle clear embossing powder on top and tap off the excess. Even at this preliminary point, it's clear that once we create our resist, the substantial flourishes in this stamp will pop nicely, whatever application of media we choose to apply afterwards. Once you set your heat tool on the stamped image, it will look like this. Left just at this stage, I think this monochromatic effect could be a subtle, sophisticated element in a more formal project. A versatile stamp indeed that you'll see me use again later this month! But today, folks, we're goin' bold with Gelatos. Apply the bright, creamy color all over the stamped image, add some black at the bottom and white at the top, then blend with your fingertips. 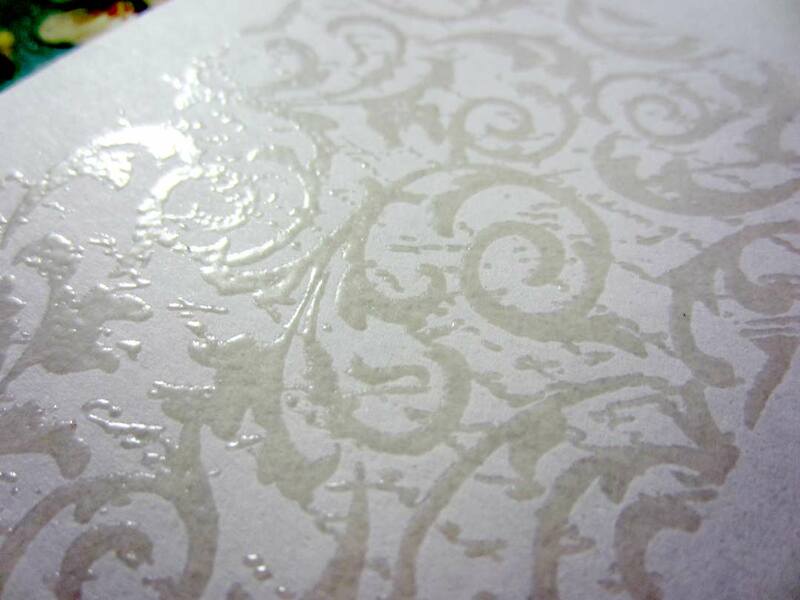 Rub a tissue over the embossed resist to fully reveal the stamped flourishes and script. Originally, I was going to cut and use heart shapes of each color, but realized this would be a great opportunity to play around with negative space created from the cutouts! I cut these pieces to 2 in. wide by 3 in high, die-cut hearts from the rectangles, and then adhered the rectangles to a 5 1/2 in. square card front. 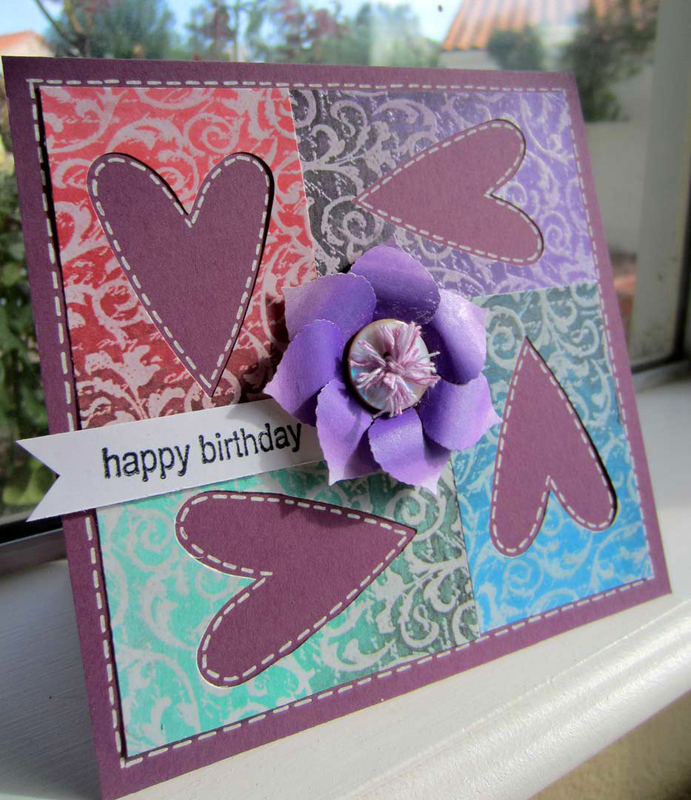 Using a leaf punch and the same blending technique, I created an easy bloom for the center of the card. Curl the the leaf shapes with a bone folder and overlap them radially around a pretty button. 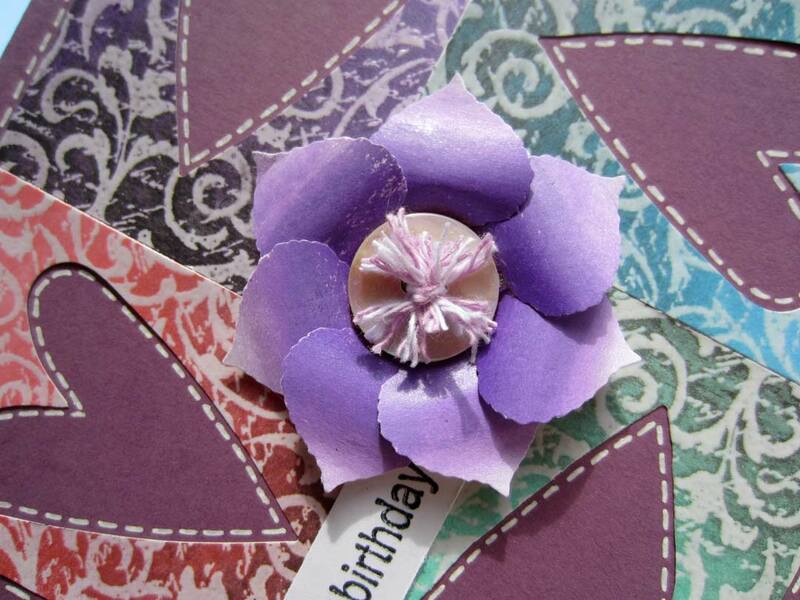 For this flower, I made some stamens with short pieces of twine for additional textural punch. Add some faux stitching with a white gel pen, insert your sentiment, and voila! Great fun gettin' my ombre on with you, today! Hope you'll join us for some fun blog-hopping this month, too!